With the legal marijuana industry booming across the country these days, it’s easy to get caught up in the hype. There is tons of new information floating around, and the laws and regulations vary greatly from state to state. One major question many people want to know is how they can get involved in the legal marijuana industry. We’re here to clear that up for you. Washington’s legal marijuana industry has room for plenty of different jobs. For those who may appreciate and use marijuana, the idea of working in the marijuana industry is certainly appealing. But without any specialized, professional experience, how can you get started working in this field? It’s important to remember that in Washington there are two distinct markets for marijuana: medical and recreational. Each market has a specific target audience, and people might choose to work in one market or the other because of their different priorities or experiences. Since we’ll just be looking at entry-level positions in this article, let’s take a look at two key jobs: trimmers and budtenders. Many people working in the marijuana industry start out as a trimmer, since it’s a “low skills” position that is a great way to get your foot in the door. When we say it’s low skills, we don’t mean that it doesn’t require any expertise — in fact, trimming well takes a lot of practice and skill. It simply means that you don’t need any professional experience or educational training to do it. Trimmers manicure marijuana buds and prepare them for medicinal use. Basically, they are given raw material and are expected to turn it into something ready for the curing process. If you’ve ever grown marijuana, you know this takes precision and attention to detail. Trimmers slice the buds from the branches (thus the “trimming”). Sometimes trimmers will also help with other aspects of cultivation, such as harvesting, pruning, feeding, and more. Being a trimmer can give you a step up into other cultivation-related jobs in the marijuana field, such as becoming a cultivation site worker or eventually even a master grower. You will likely be able to find both full-time and part-time trimmer positions available in Washington. Budtenders are a popular entry-level position in the industry because they are the face of the industry, since they regularily interact with customers. They work in dispensaries, guiding clients and patients toward the perfect strain and technique for their specific needs. Because they are expected to know the answer to anything a customer might ask them, budtenders have to really know their stuff. They also have to keep records of many aspects of the business, helping to keep it official and legitimate (and basically to help justify it staying in business). This means budtenders need to be reliable, responsible, and knowledgeable. Because of these aspects of the job, more formal training and education is usually involved for those looking to become a budtender. Often this training comes from the dispensary manager, but it can also be done more formally by an external trainer. Trimmers in the state of Washington must be over the age of 21 since that is the legal age for using marijuana (not that you’ll be allowed to use it on the job). Besides that, there aren’t many requirements that are specific to people looking to become a trimmer. Of course, the laws in states across the US have been changing quickly lately, so it’s important to keep an eye out for any additional requirements that could come up in the future. 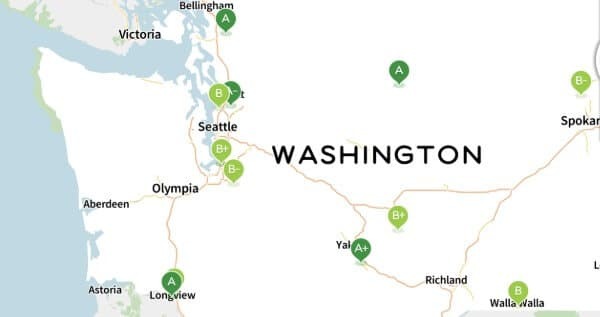 At the time of writing, there are no legal requirements for permits or licenses to be hired as a budtender for recreational dispensaries in the state of Washington. However, those working in a medical facility (or a medically endorsed marijuana retail store) may need a certification, at least if they are working as a medical marijuana consultant. Becoming a certified medical marijuana consultant may be interesting to you if you are most interested in or inspired by marijuana’s therapeutic benefits. This is especially the case in Washington since budtenders in a recreational marijuana dispensary are legally required to refrain from discussing the therapeutic benefits of their recreational marijuana. To become a medical marijuana consultant, you must be 21+ years old and have completed a 20-hour training program (with proof of completion from a department-approved program). You must also have CPR training. After these requirements, you should submit an application to be officially certified. You will need to renew the certification every year on or before your birthday. Check the Washington Department of Health website for more information.